I first spied Rebel Kitchen Mylks at the Food Blogger Event last year and really liked the whole concept. 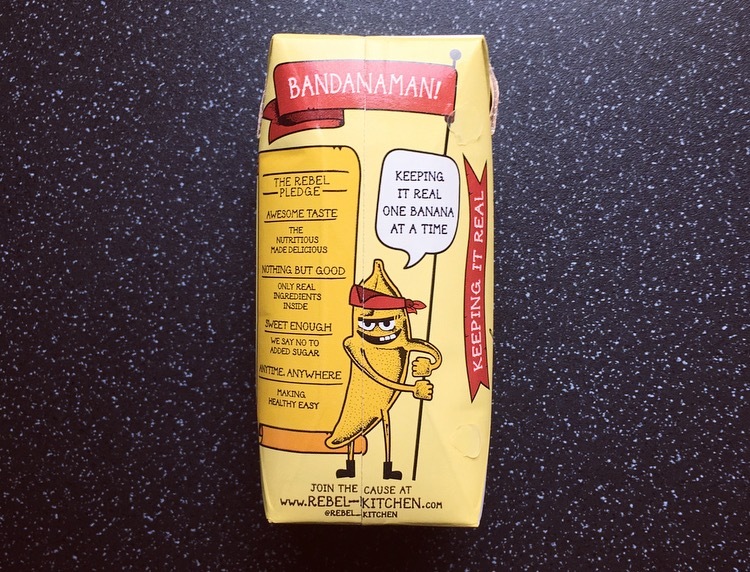 It wasn’t until I was shopping in Waitrose last week that I came across Rebel Kitchen Mylks for kids on offer for 2 for £4, and thought I would give them a whirl, primarily because they had Banana (why is it so hard to find banana these days?)! Rebel Kitchen Mylks are dairy free, contain no refined sugar, additives or preservatives and are suitable for vegans, those following a paleo diet, and are gluten, nut and soy free. 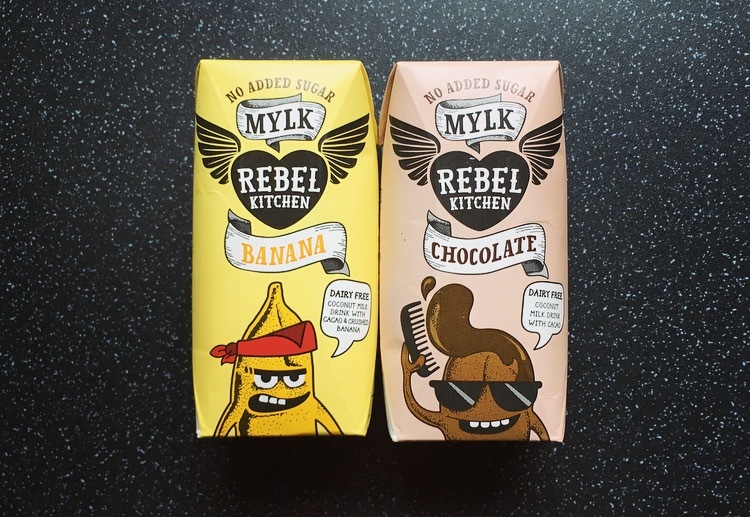 So in a nutshell pretty much everyone can partake in a Rebel Mylk, flavour depending. So lets get drinking. Dairy Free Coconut Milk Drink with Cacao & Crushed Banana. This menacing looking Banana was the one I was most looking forward to, so naturally it was the first one I was going to get stuck into. The banana hit is what you get first, it was fresh and fruity but does not last that long before the cocoa takes over. The Mylk isn’t overly sweet or sickly creamy as I expected. The consistency was a tad on the watery side despite giving it a good old shake, and I cannot help but want a good old thick shake when it comes to banana, and if anything lets this drink down this is it. Nonetheless it is still tasty and I would happily buy these again. In comparison to it’s Banana friend, the Chocolate Mylk was thick and creamy. Pleasantly surprised there was none of this sugary coat your teeth chocolate milk like some brands and instead there was quite a rich cocoa taste that really satisfied my chocolatey craving. Tasty, delicious and natural, come finishing the carton I was left wanting more. 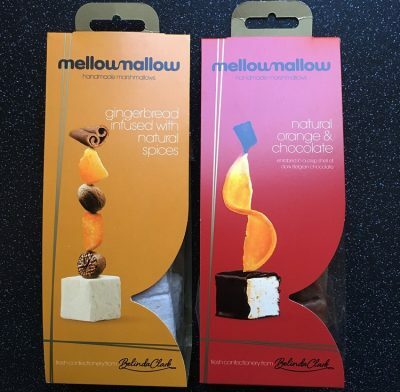 These Kid Mylks are marketed as perfect for kids lunch boxes or school snack but frankly they are also the perfect size to pop in your handbag or gym bag so you’re never caught short when needing a drink. 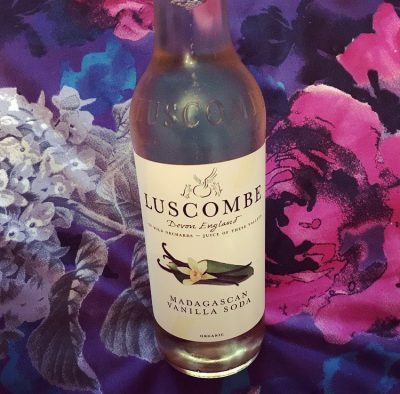 I love the packaging, it’s fun, it certainly stands out and it does remind me of the packaging Innocent does, which I love almost as much as their drinks. 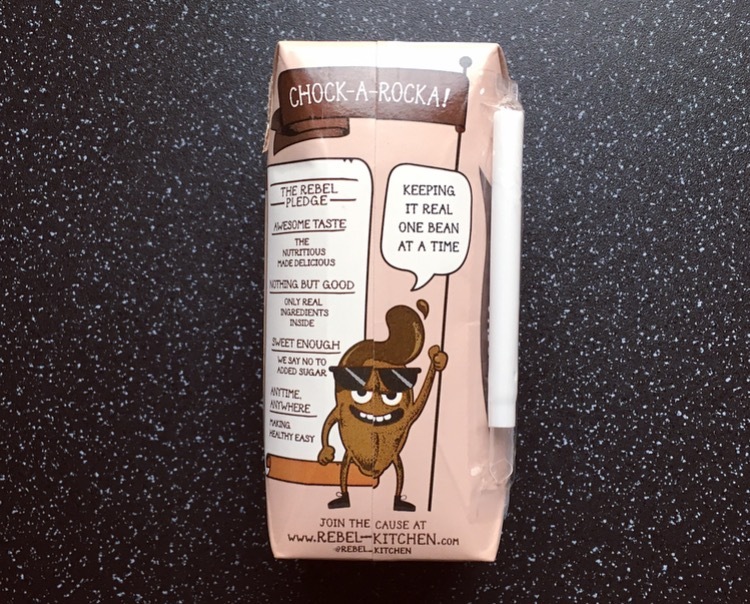 These Rebel Kitchen Mylks are delicious and are definitely not just for kids.